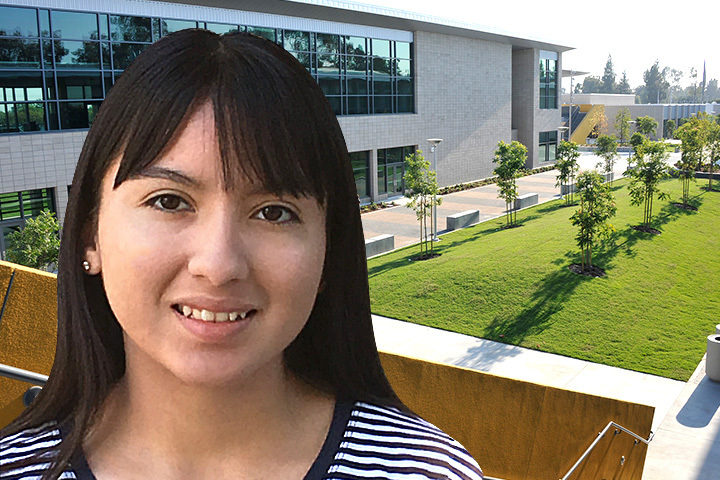 McBride High School senior Andrea Hernandez is this year’s Migrant Education Honor Student for the Los Angeles County Migrant Education Division. She was selected from 27 school districts in the county that receive funding for migrant students. Hernandez participates in the Migrant Education Program offered by the Long Beach Unified School District. The federally funded program provides students and parents supplemental instruction and support services, including physical exams, dental screenings, after-school tutoring and Saturday school. Hernandez was nominated by LBUSD Migrant Education Administrator Martha Ensminger. Upon graduation, Hernandez will pursue a career in law enforcement, specifically in forensic science, which is a career pathway offered at McBride. After starting as a low performer learning English, she will graduate having completed nine Advanced Placement classes, including English. She’s an active member in the Long Beach Police Department Explorers program, attending weekly meetings where she learns about law enforcement. She also helps with fingerprinting of children as part of the Missing & Exploited Children Program. Hernandez has overcome multiple barriers and academic challenges related to her migratory lifestyle. She sought many academic opportunities on her own, participating in academic enrichment programs offered within the school district and by community partners. “She has always demonstrated an intrinsic motivation to reach her highest potential,” Ensminger said. Hernandez will be honored March 11 by the California Department of Education Migrant Education Division at the Annual State Migrant Parent Conference in Los Angeles.